These self quotes give positive advice to help boost your self esteem and self confidence. I think that our sense of self is one of most important things in our life. If we are not happy with ourselves, then we will never be truly contented with anything or anyone else in our lives. Many years ago, the most confident and outgoing person that I knew, told me that, they didn't feel confident in themselves. At the time I was amazed at this, but now I realise that the majority of us feel 'not good enough' in some way or another. We don't need to be perfect - we just need to be our true selves. The self quotes on this page are all from sources and authors surnames A and B. The other pages are: C to E, F to I, J to M, N to R, S to T, U to Z. 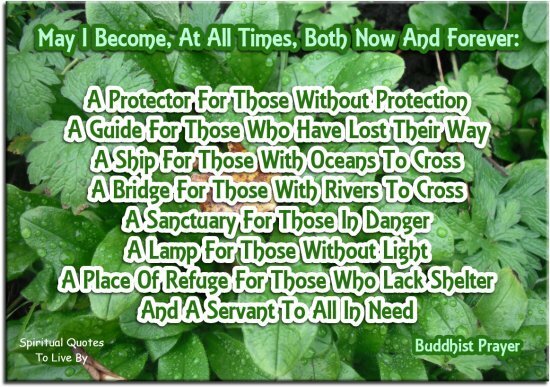 For positive words of wisdom about the self from unknown sources there is the Self Sayings page. I am in the likeness of my Creator. I cannot suffer I cannot experience loss and I cannot die. I am not a body. Love created me like Itself. I am not a body. I am free. for I am still as God created me. All that I do, I do unto myself. If I attack, I suffer. But if I forgive, salvation will be given me. Nothing beyond yourself can make you fearful or loving, because nothing is beyond you. You are entitled to miracles because of what you are. You will receive miracles because of what God is. And you will offer miracles because you are one with God. You are the Will of God because that is how you were created. Because your Creator creates only like Himself, you are like Him. 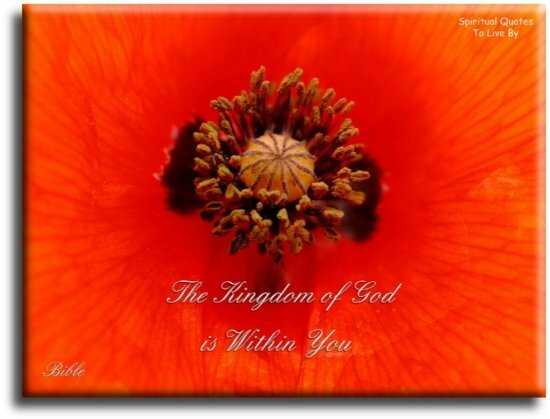 You are part of Him Who is all power and glory, and are therefore as unlimited as He is. When you need something to believe in.. start with yourself. And to deliver to me manifestational evidence, for one purpose and one purpose only… To help me in the deliberateness of my creative endeavour. Today, no matter where I am going, no matter what I am doing, it is my dominant intent to be good to me. If your actions inspire others to dream more, learn more, do more and become more.. You are a leader. I made the decision to go into becoming who I’m going to be forever, without a removal van full of my old junk. 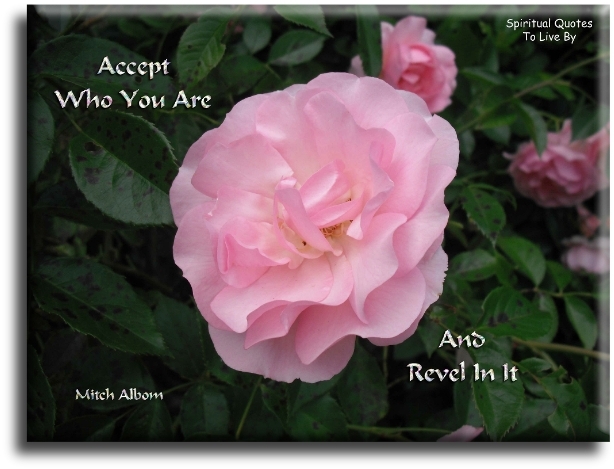 Accept who you are... and revel in it. You have to leave the city of comfort and go into the wilderness of your intuition. What you’ll discover will be wonderful. What you’ll discover is yourself. Learn to be what you are and learn to resign with good grace all that you are not. Success is.. Liking yourself, liking what you do and liking how you do it. When you learn.. Teach. When you get.. Give. The more you know,, the more you know you don’t know. 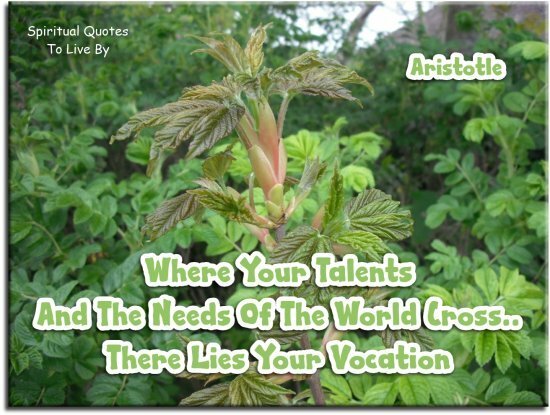 Where your talents and the needs of the world cross.. There lies your vocation. The intuitive mind is where our genius resides. Seek not abroad, turn back into thyself, for in the inner man dwells the truth. He who lives in harmony with himself.. lives in harmony with the Universe. Yours are the only hands with which He can do His work. Yours are the only eyes through which His compassion can shine upon a troubled world. Don't compare yourself to others, but be inspired by them. As soon as you can say what you think, and not what some other person has thought for you, you are on your way to being a remarkable man. If you are going to ask yourself life-changing questions, be sure to do something about the answers. Success is not in what you have, but in who you are. Don’t let your habits become handcuffs. Looking back you realize that a very special person passed briefly through your life.. And it was you. It is not too late to find that person again. Remember, loneliness is designed to help you discover who you are, and to stop looking outside for yourself. You can bear your troubles or shrug them off. They’re your shoulders. You are the sculptor of your own reality. Don’t hand your tools to anyone else. You were created on purpose for a purpose. There is a thirst and hunger in your heart that is real. Pay attention to it. The world is waiting for you to wake up to the person you are called to be. Meditate. Live purely. Be quiet. Do your work with mastery. Like the moon, come out from behind the clouds.. Shine. Your mind will answer most questions, if you learn to relax and wait for the answer.